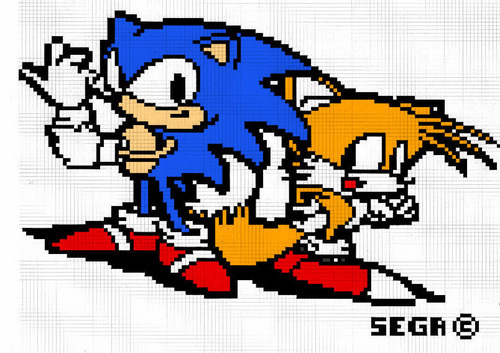 Sonic & Tails in pixel. Sega's finest duo.... HD Wallpaper and background images in the 刺猬索尼克 club tagged: sonic tails. This 刺猬索尼克 fan art might contain 动漫, 漫画书, 漫画, 卡通, and 漫画卡通.